“I don’t like to live in the past because the past can’t do nothing but keep you in the past. I like looking to the future now, because I can see it. At first, I couldn’t see it. I’ve been shot nine times, stabbed, stole from and left for dead because that’s the lifestyle that I lived on the streets. And what a difference that was. From growing up in the toughest parts of town with a father who was a user and dealer and the house he was living in being the neighborhood “party house” to now being clean and sober for five years, Tawann’s life is worlds apart from the one he came from. Tawann grew up in Indiana and came to Minnesota more than two decades ago. But leaving his hometown didn’t help him escape his past. It found him here too. Tawann said it’s because that sometimes feels like the easiest route, the one that’s most familiar. When his marriage fell apart, Tawann allowed the rest of his life to do the same. He started using drugs again and he started dealing again too. At the beginning of 2014, Tawann realized his life had spiraled completely out of control and decided it was time to make a change. After spending two months at Turning Point, Tawann came to House of Charity. He lived in our residence hall and attended Day by Day treatment with us for about seven months. The separation from his previous life he was able to achieve here helped Tawann succeed in being sober and clean. Tawann is in his own apartment through Housing Supports, our Housing First program and is giving his time through volunteering with Neighborhood for Change, One Family One Community and MAD DADS. Being a part of these organizations and out in the community helps keep him grounded. Tawann is going back to school this summer. His daughter just bought her first home and he’s about to become a grandpa. Because he saw that it was time to make a change, he turned his life around and now he gets be a part of his family’s lives. And he’s giving back through MAD DADS. 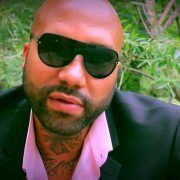 He is changing lives and giving back to the community he hurt with his addiction and dealing. Tawann is changing the world through strengthening his community. What can you do today to do the same? Deb joined House of Charity in December of 2018 as our new CEO/Executive Director. She came to us with years of experience working with the same communities we serve. In the short time she has been here, we have seen great changes and we’re looking forward to where she’ll guide our organization in the future. Having said that, I feel blessed every day that I can make a living providing service to our community. Coming to House of Charity was like coming home for me. My first apartment after high school was in Elliot Park at the Drexel apartments, and my first professional position was at Eden House which is also in Elliot Park. The residents and diners at House of Charity are who I consider my community. We have all experienced stress and lows through life and those of us that make it through safe and successfully have only been able to do so because the right people were in the right place at the right time to assist us in our journey. My vision for House of Charity is that we play that role for every one that walks through our doors. People come to us with different levels of need and we must be prepared to meet them where they are while providing high quality services that allow them to be their best selves. harassment free manner of any kind. I attribute this belief in obligation to our entire community to my mother, a survivor of the German Holocaust, who taught me my entire life that if you wake up in your country knowing that anyone is being oppressed and you do nothing about it, you are, in fact, the oppressor. I am committed to operating our program through the voices of those we serve. I am a firm believer that they are the experts in the needs of our community. We will continue to grow our ability to hear our consumers’ voices and develop programming accordingly. The other day, a man came into our office and was looking for some direction. He left, instead, with a connection. Coming from a local shelter, he wanted to know what his next step should be to find housing. He shared his recent experiences with staying in shelters and the kind of unfortunate behavior he was experiencing from others, as well as the life circumstances that had left him homeless for several years. When he left our office, he still had no certainty of finding housing soon, as he was still working to get connected to an agency. He did, however, leave with a warm smile. I believe that smile formed from having the opportunity to share a piece of his story and recent experiences with two people who took a few moments to listen. I felt truly moved by the gratitude we received from him as the few minutes we spent with him was such a simple act. 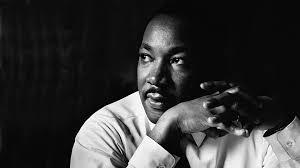 This man seemed more empowered to continue his journey because he received our time. One aspect of my practice that I continue to try to improve every day is to listen better and show clients that they are heard. I am still awed by these moments when I receive such gratitude for such brief encounters, because it represents how powerful the human connection can be when we take time to show others we see them and we acknowledge them, even if all we can give is a moment. I am often reminded by others that a simple smile or acknowledging someone personally can make all the difference to an individual who is in need of that connection, because at times that person is me. This is why we have the opportunity to empower individuals at House of Charity; because we recognize that we are all connected through the common thread of humanity and everyone deserves the opportunity to work towards living the life they desire. We value the time we spend with the people we serve because we recognize what a difference taking a few extra moments to connect with someone can make. We’ll Be Breaking Ground Soon! Our long-awaited housing project is finally rolling! 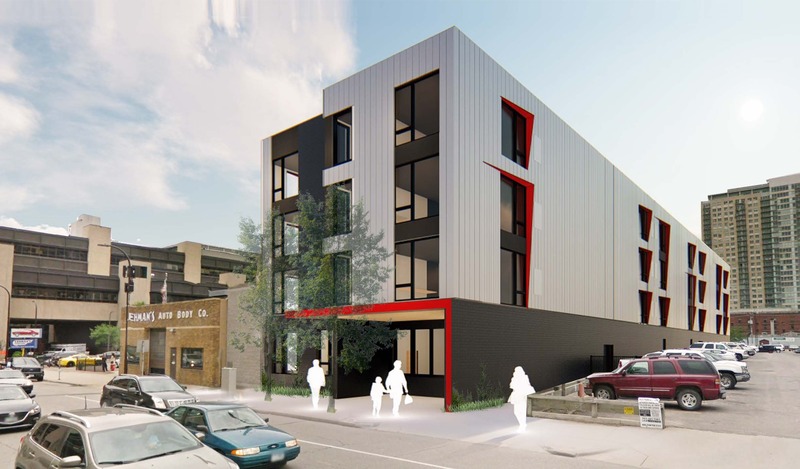 Construction will begin to build 61 pet-friendly studio apartments for people experiencing long-term homelessness, along with other community spaces to expand and improve our services and the privacy of our clients. As we get closer to breaking ground in the next few months, we’ve started planning an event to celebrate that. We’re excited to start this project to better serve our neighbors in need. To keep up-to-date on all things construction related, connect with us on Facebook. https://www.houseofcharity.org/wp-content/uploads/2018/04/2018-03-15_HOC_Community-Meeting_FINAL-1.jpg 1434 2446 House of Charity https://www.houseofcharity.org/wp-content/uploads/2016/06/houseofcharity-logo.png House of Charity2019-03-27 01:02:412019-04-15 20:34:18We'll Be Breaking Ground Soon! 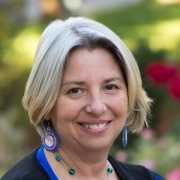 The House of Charity Board of Directors has named experienced nonprofit leader Deborah F. Moses, DPA, MPH, as the new Chief Executive Officer and Executive Director of the agency whose mission is to feed those in need, house those experiencing homelessness, and empower individuals to achieve independence. Moses will assume the leadership post effective December 10, 2018. Moses has served in numerous executive leadership positions at nonprofit social service agencies, as well as in key posts with the Minnesota Department of Human Services, where she managed large programs and shaped public policy. She has overseen budgets up to $110 million, has actively raised program and capital revenue, has improved service delivery, and has managed multiple programs and facilities within complex regulatory environments. 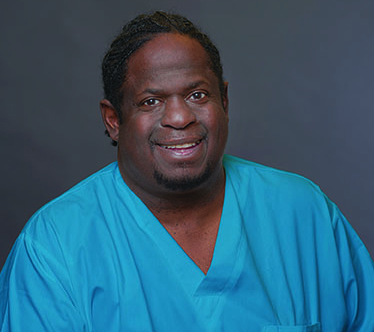 Moses holds a doctorate in public administration from Hamline University and graduated from the University of Minnesota with a master’s degree in public health. In addition, she has a chemical dependency counseling certificate and advanced credentials in health service administration. 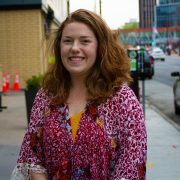 She also serves as adjunct faculty at Metro State University in the Co-Occurring Disorders Master’s Program and at St. Mary’s University in the School of Public Health. 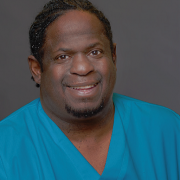 Moses is a lifelong resident of the Twin Cities, currently residing in south Minneapolis. She has three adult children and two grandchildren who are the joys of her life. She enjoys bike riding throughout the Cities, hot yoga, reading, knitting, and traveling. https://www.houseofcharity.org/wp-content/uploads/2018/08/7-4.jpg 1200 1600 House of Charity https://www.houseofcharity.org/wp-content/uploads/2016/06/houseofcharity-logo.png House of Charity2018-08-07 20:40:332018-08-08 20:29:49July was Huge! How many times have you been homeless? For most of us, that answer would be never. We have never experienced the fear of not knowing where we’ll sleep at night. We’ll never understand the shame of experiencing something that is surrounded by stigma. Tika has experienced that three times. Three times she has found herself with no place to call home. Tika could choose to be bitter because of what life continues to throw at her. Instead, she has chosen empowerment. By raising her voice, and the voices of those in similar situations, through the written word, Tika has created change. She started with a simple letter, which turned into a newsletter, which will, hopefully, someday turn into a newspaper. She wants this newspaper to be a resource for all individuals experiencing homelessness. Tika understands how hard it is to find the right resources when you don’t know where to look. She understands the fear of not knowing what kind of help will be available to her. She wants to take that fear away. By publishing a newspaper, Tika would provide something for men and women that would help them know that they are not alone, that what they are experiencing is not permanent or wrong. The first time Tika found herself without a home, she had two young boys. She described that experience as far more frightening and embarrassing. First, because she had two children who were forced to experience homelessness with her. Second, because she didn’t know what her options were. 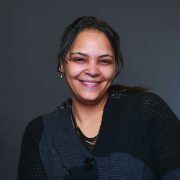 Having never been homeless before, Tika did not know anything about the programs or resources available to her. She didn’t know where to go and she had no connections to other people in her new, if unwanted, community. That’s why she cares so much about spreading knowledge. If she can help just a few people be less afraid of their situation, Tika will be happy. Her mission is just to provide the resource. What matters is that Tika is using her voice, her skills, her passion to create change. And because she has experienced, and is still experiencing, homelessness right along with them, people are willing to listen. “We can speak for ourselves and we can let people know that ‘I’m not a number, I’m a person.’ We don’t want this to be our life, we don’t want to be stuck here, we don’t want to feel like we’re stuck here, we’re going to make it the best we can while we’re here. Tika is in the midst of her third struggle with homelessness. As is it with so many individuals, homelessness doesn’t discriminate. It doesn’t matter if you have a car. It doesn’t even always matter if you have a job. Sometimes, the cost of living is just too high. You lose your home. Recently, Tika was denied SSI and disability support, something she had been counting on despite always believing a person should have a ‘plan B’. But she refuses to wallow in her disappointment. That is why she started the newsletter for other clients, and that’s why she will eventually start a newspaper. The work we do, every moment spent providing food and housing and treatment for our neighbors, it all means so much less if we don’t also empower the men and women we work with. Tika saw a need, she realized that the people in her community, while being cared for, weren’t being empowered. By starting her newsletter and hopefully a streets newspaper, Tika is giving the power back to those from whom it has been taken. She is giving the voices back to the silent sufferers. Will you help us empower people like Tika, who is making far more change in the community that we could even dream up? The power of a purple button. You’re thinking to yourself, how does a purple button have any power? I witnessed first-hand how two purple buttons brought a grown man named Tony, to tears. Tears of joy because his favorite shirt that he’d had for years and was missing two purple buttons, was finally repaired. He had held on to that shirt hoping he would once again be able to wear it. A few months ago was that night. The power of two purple buttons turned this man’s whole day around. I knew nothing of his struggles, but I knew that purple shirt mattered to him greatly. I did learn he had worked in the automobile industry and was a proud veteran. A table full of volunteer sewers that night saw nothing but a man who had proudly served his country and so desperately wanted to wear his favorite shirt again. I realized early on that clothing evoked an emotional connection for people. Especially when someone is struggling with overcoming an addiction or battling mental health issues. Sometimes a favorite shirt can get you through a tough day. 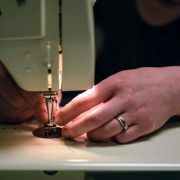 We mend more than clothes at Mobile Menders. We help mend the soul. We let people know that they matter and their clothes matter. We allow them to share their stories with us and vice versa. We’re building community and sharing stories and there’s an important conversation going on. So, if you think one person can’t make a difference, I beg you to think again. Because I witnessed it first hand that night. After founder Michelle Ooley realized there was a dire need for clothes mending in the homeless community, she organized a group of volunteers to hold events offering their skills and time to repair clothes for those in need. Since its founding in June of 2017, the Mobile Menders have grown to more than 200 volunteers and have served countless individuals. The change they have made in such a short time is enourmous. They served 151 people in the first three months of 2018 and repaired 287 items. We are reminded time and again of the power of one person who is willing to give generously of their times and skills and Michelle and her crew demonstrate that so clearly. We are so grateful for the Mobile Menders and are continually amazed at the HUGE impact they have on our clients and in turn on us as we watch them give so generously to the people we serve. House of Charity has raised $11 million, enough funds to begin construction of the housing building as soon as spring of 2019! 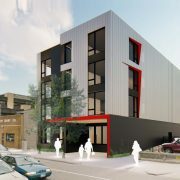 With the October 2017 approval of $8 million in funds from the Minnesota Housing Finance Agency restricted to housing, we have the funds to build 61 studio apartments for people experiencing long-term homelessness, the foundation of our ambitious expansion. We are thrilled to receive the full housing funding for construction of the first building of our new facilities! Because the funds were restricted to housing, we are taking some time to redesign the second phase which includes the Food Centre, outpatient addiction and mental health program, and new offices for our case managers and our administration. It is so important that we raise our voices to advocate for those who cannot. homeless, look on in fear. homelessnes and hunger every day. The proposed cuts would remove 6.2 billion dollars from the Housing and Urban Development section of funding. This reduction also doesn’t speak well for the future, as the proposed spending speaks very clearly of the priorities of our current administration. The budget is supposed to be approved on October 1, but it has been 20 years since the last budget was passed on schedule. We still have time to make a change! Will you help us as we move to stop this change that will so severly effect those we are fighting to help? We need you to help as we tell our lawmakers and president why this change will damage our cities and cause setback in so much of the work we have already done. Join us. Hello House of Charity Community! My name is Nicole. 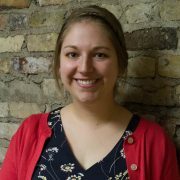 I’m excited to be your Community Engagement Coordinator. 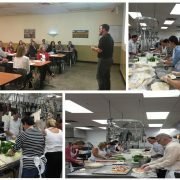 connections with organizations that envision the same future as House of Charity. 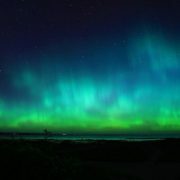 I expect to witness powerful connections emerge during National Recovery Month and beyond. experiencing homelessness to achieve independence. community without whom House of Charity could not exist. So I first want to start off by saying THANK YOU, to YOU, for your devotion to House of Charity. I cannot wait to connect with you. // Will You Become Part of the Community? In this land of plenty and equality, often those that need the most are left out. Over half of the children in America live in homes where their parents struggle to make ends meet. A disproportionate number of working adults work two jobs. Many are under- or unemployed, people who struggle just to pay their day-to-day living costs. Two people of identical age and education may not have equal opportunities for advancement simply because one of them might lack the resources to continue education or to obtain the required skills for a professional position. Rarely is the solution to poverty a simple case of people needing to work harder. As a culture, we should help those who are struggling with poverty. Other than government support, there are few accessible or relevant resources that allow individuals to climb out of poverty. We must stop perpetuating the myth that a person living in poverty is lazy and the simple solution is to work harder; because that is not always possible. At House of Charity, we don’t expect people experiencing hunger and homelessness to “pull themselves up by their bootstraps.” We partner with those individuals and provide them with resources to create their very own bootstraps. 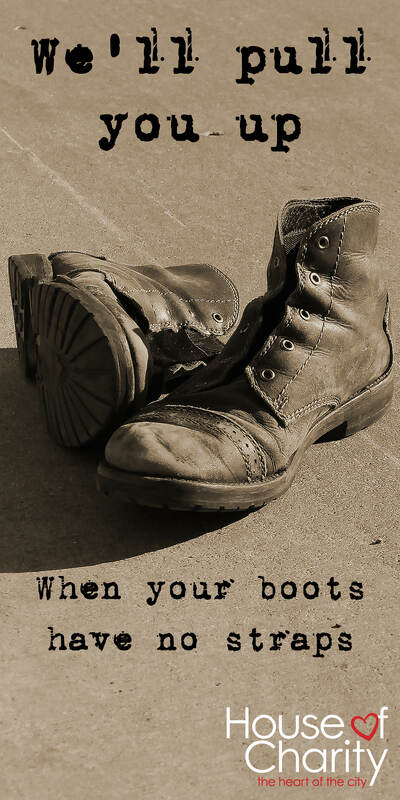 And, if needed, we’ll pull them up when their boots have no straps. ,HOC’s free meals at the Food Centre help meet the challenges faced by working families. The above statistics show why people struggle to feed their families on limited incomes, even when the head of household is working hard. 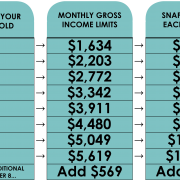 For a family of four in Minnesota, the average cost of groceries per month is $900. 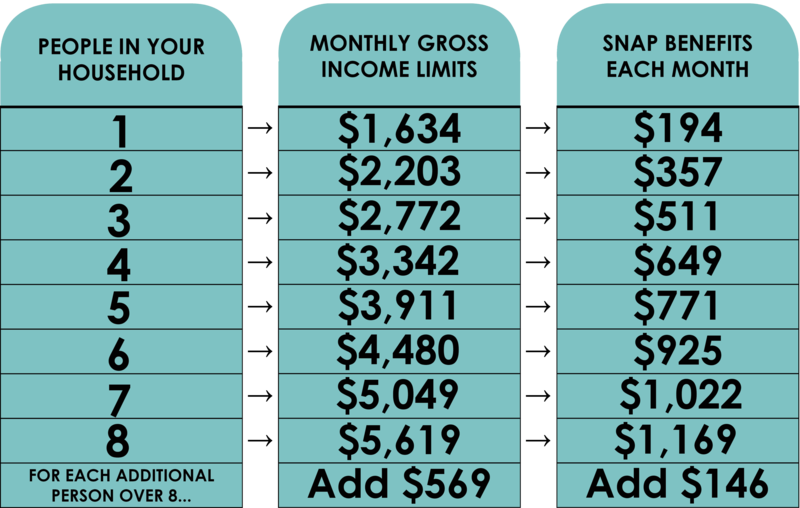 For families with little or no stable income, that amount looks like an impossible obstacle to overcome. When money is tight, food is often last in a long list of expenses to pay out. Housing costs often become the first priority for a tightly stretched dollar. As a result, many individuals and families come to places like the House of Charity Food Centre to help out just a little with their immediate food crisis. Many of those people who visit House of Charity’s Food Centre qualify for and recieve food assistance. The program in Minnesota, Supplemental Nutrition Assistance Program, or SNAP, can help people in bridging the gap. 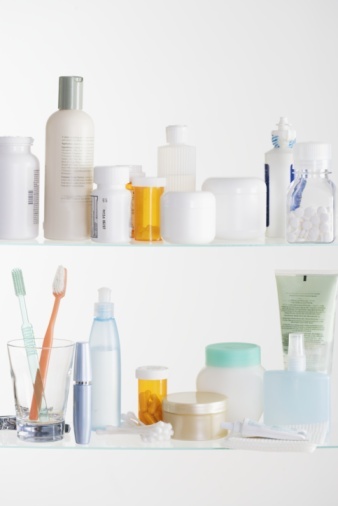 Often, however, this supplement is not enough to meet the needs of the family. This program, which used to be known as Food Stamps, offers about $200 a month in benefits per person. Based on the average cost of groceries for a family of four, this is far from sufficient to keep families, especially children, healthy. For this reason, many families end up at the Food Centre to supplement their food budget and get a good healthy meal. If a family seeks help with food, whether through the Food Centre or SNAP, it doesn’t mean a lack of effort at their job. Many parents work long, hard hours just to be able to afford a house or rent for their family. A safe living situation. 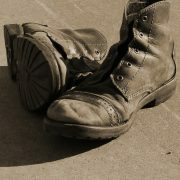 We at House of Charity are here to help them bridge the gap as they work toward complete sufficiency and independence. Terry’s was a life marked with unthinkable trauma, sadness, and loss. By the time he’d reached his current 84 years, he’d experienced more than most could fathom. From serving his country in the army, to surviving 30 Minnesota winters on the streets, Terry had encountered devastating life experiences, one after another. Each cut like a knife, slicing off a little more of his resilience. All these trials contributed to his experience of homelessness, but one episode stood apart from the rest, in his long journey of rebuilding life. In 1985, Terry’s beloved dog, Cliff, was put down. This defining moment started his experience of homelessness. “The day I had my dog put down hurt me most. Cliff was the last vestige of my former life,” he said. Any memories of stability Terry had were tied to his pet. When Terry lost Cliff, he also lost the last remaining link to his past. He just gave up—on everything. 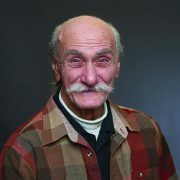 Terry lived on the streets for three decades. He says, “I put it off….I really didn’t want to come inside and have to live by someone else’s rules.” With his health and eyesight deteriorating rapidly, he knew it was no longer an option to continue as he had for the past 30 years. He came to the Food Centre at least four times a week for his “sit-down and enjoyable” meal, saying, “Is it always my favorite dish? Of course not, but there’s always plenty of it.” He paused, and with a dead-pan expression stated, “And the price is always affordable.” This ever-present wit and his compassion for others makes Terry a favorite among House of Charity’s staff and volunteers. The power of purpose, activity, and laughter are the pillars upon which Terry’s life and survival are now built. This positive mindset is also the foundation upon which his legacy will rest. The support of established structures and regular routines are vital to Terry. He keeps himself busy in his free time visiting hospital patients, reading for the blind, and delivering hand-made bouquets. Recently, Terry found permanent housing through a partnership between HOC and the Minnesota VA. Whenever possible, Terry supplements his diet at House of Charity’s Food Centre. He continues to use his experiences with homelessness to encourage and comfort others. Those going through similar experiences in their quest for rebuilding life find encouragement from his positive outlook. Terry’s journey through homelessness is a testament to us all. Terry’s perseverance and the power of keeping a positive mindset no matter how dark the situation may be are an encouragement to all. For over 20 years, Melvin worked as a professional bill collector, a job that demanded a lot of him emotionally. The byproduct of his job was high stress: an emotional toll that came from having to deal with highly sensitive situations each day. As a result Melvin started abusing crack cocaine and marijuana in an attempt to escape from the daily pressures that came with his work. At this point in his life he left his job and moved to Florida, but there his drug use only escalated. He went through treatment programs several times without sobriety ever truly sticking. After a combination of bad life choices involving relationships and personal connections that kept leading him away from his goals, Melvin finally resolved to commit to his sobriety and moved back to Minnesota to face his demons. Seemingly having nowhere else to turn, Melvin came to Minneapolis and House of Charity. He was admitted to HOC’s Day by Day Outpatient Chemical Dependency Treatment Program. After completing treatment, Melvin took back his life with the help of his counselors and many other staff members. 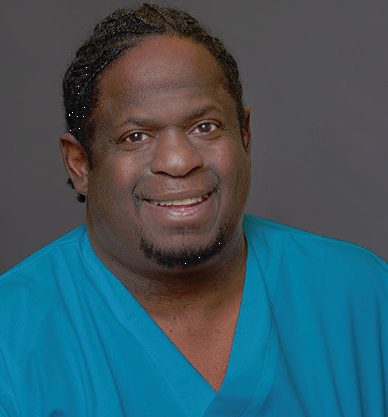 Now fully sober and stable, Melvin has landed on a new career path for himself and has enrolled in technical vocation training to become a community health worker and, eventually, a CNA (Certified Nursing Assistant). His long-term goal is to be both so that he can help people in more than one place. Melvin’s ultimate mission was always to get clean, stay clean, and find a job; and through his hard work and unwavering focus, he is achieving far more than that. By taking back his life from his addiction, he has not only changed his life, but he has discovered that he also has the potential to save others. 2016 Ask the Expert Videos are out! Be sure to check out all our “2016 Ask the Expert Series” videos. We have continued the popular series started last year. 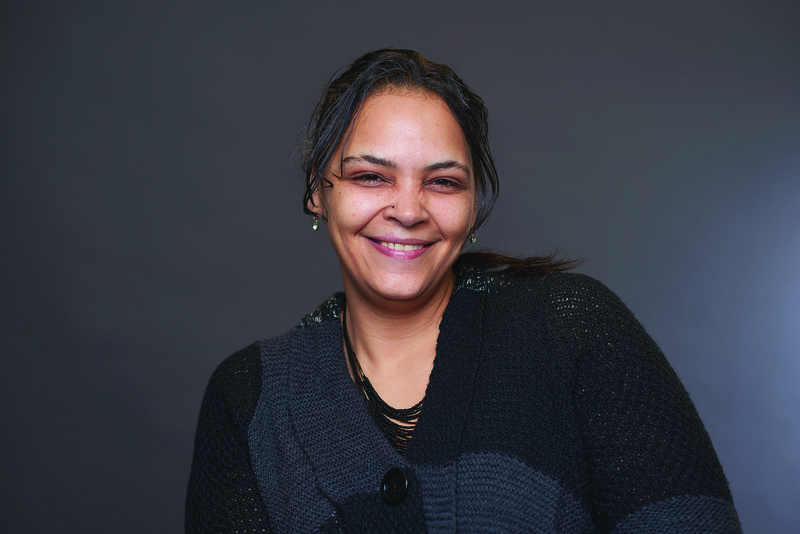 We found a new voice, Jennifer’s, to tell this story about an exceptionally strong woman and her experience of homelessness, how she got in touch with House of Charity, and how she was helped in her journey to move forward. https://www.houseofcharity.org/wp-content/uploads/2016/09/HouseofCharity_-74-ALT-sm-Jennifer.jpg 1474 2208 House of Charity https://www.houseofcharity.org/wp-content/uploads/2016/06/houseofcharity-logo.png House of Charity2016-12-11 17:30:002016-12-12 16:05:282016 Ask the Expert Videos are out! Did you know that mental health disorders can reduce life expectancy by 10 to 20 years? That is as much as or even more than smoking over 20 cigarettes a day? 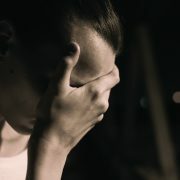 The mortality risk for women with postpartum depression was more than seven times higher than that of a heavy smoker. People with substance abuse disorders and anorexia had higher mortality rates than smokers, as well. And while chain smoking eight to 10 years earlier than nonsmokers, schizophrenia can decrease life expectancy by up to 20 years. People suffering from mental conditions are sometimes less likely to go to the doctor. They may not be able to manage their own health care. The statewide 2015 Wilder Research Study on Homelessness (Minnesota) states that mental health issues are a concern for adults experiencing homelessness: 57% report serious mental health issues in 2015, compared with 55% in 2012, and 36% in 2000. Hundreds of people experiencing homelessness also end up in psychiatric hospitals with severe mental illnesses. They usually stay in the hospital for a short period of time. Then they return to the streets without any medical care. All too often untreated mental illness is a barrier for people experiencing homelessness to progress towards independence. At House of Charity, we have found that we first must help people become stable with consistent housing and food before we can help them seek treatment for mental illness. Our housing program provides that initial stability and our Day by Day program and other services near us help people address and treat their mental illness along with chemical dependency as often they are combined barriers. Also from the 2015 Wilder Research Study on Homelessness, of the population statewide in Minnesota who have experienced long-term homelessness: 60% have a mental illness, 21% have a substance abuse problem, and 18% have a dual mental illness and chemical dependency diagnosis. Having both is a significant barrier to having independent housing. One of the people connected with House of Charity the longest isn’t an employee, it’s a client! We sat down with Kyle to talk about his personal journey on the path for a sustainable recovery, and also how House of Charity has grown over the years. Q: When did you first use services at House of Charity? “Around 2006, House of Charity converted their main building to serve more people in a Group Residential Housing setting and I’m pretty sure I was the first person in that program. In 2012, when the Housing First program started, I was one of the first people in that program too, so I guess you could call me the House of Charity resident guinea pig. All new programs are tested for safety and efficacy by me!” Kyle shares with a smile. Q: You just used the word efficacy correctly. Is it fair to say there is higher education in your background? While Kyle admits to being somewhat reticent to be interviewed, he feels strongly that mental illness must be addressed, and not ignored. The topics of drug use, addiction and mental illness arose, and Kyle continued to share his perspectives about achieving sustainable recovery. We all know that a regular shower is important for maintaining good hygiene. People experiencing homelessness need regular hygiene, because they are consistently exposed to the elements. 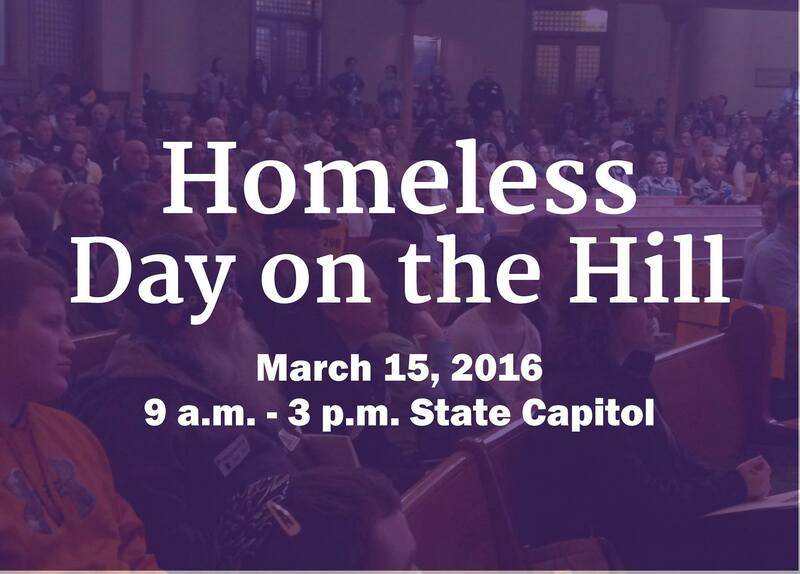 Those experiencing homelessness spend much of their time in public places, such as subways, parks, and buses. In these places, they encounter every kind of virus and germ. Regular bathing is necessary to avoid odors, infections, and germs. Showers are important in a society where hygiene is required for job opportunities and other positive social interactions. However, there are few places that offer a free public shower around the Twin Cities Metro area. Public showers might be available in gyms or at the workplace. To use these facilities, however, you need to be a paying member for the use. People who are experiencing homelessness are not likely to be able to afford joining such clubs and probably don’t have full-time jobs at companies where gyms are readily available. Obviously, one can’t depend on the shower at a job which one doesn’t have or at a club which one can’t afford to join. This all feeds into the circle of discouragement from which those experiencing homelessness find it almost impossible to break free. In order to keep up the level of hygiene that is necessary to enter the workforce, public showers must be available. 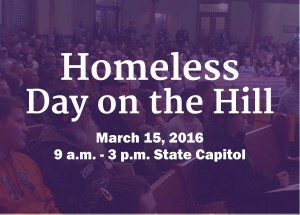 Those experiencing homelessness often are highly exposed to the street, dust, and smoke found in urban spaces. Those experiencing the lack of a permanent home don’t want to “look homeless.” Most want to maintain proper hygiene and appearance so they do not stand out. Helping to provide them with the opportunity to get clean is a priority for us. This is why House of Charity provides a free public showers for anyone. The showers are open from 9:00 am to 1:00 pm, Monday through Friday. People using the showers receive a towel and soap from House of Charity free of charge. 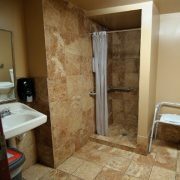 Our free public showers are available at our main building at 510 South 8th Street in Minneapolis. For other ways to give, see our “Other Ways to Give” page for suggestions about making an in-kind donation of supplies for those using the public showers. Thank You United Health Group for Helping at Our Food Centre! 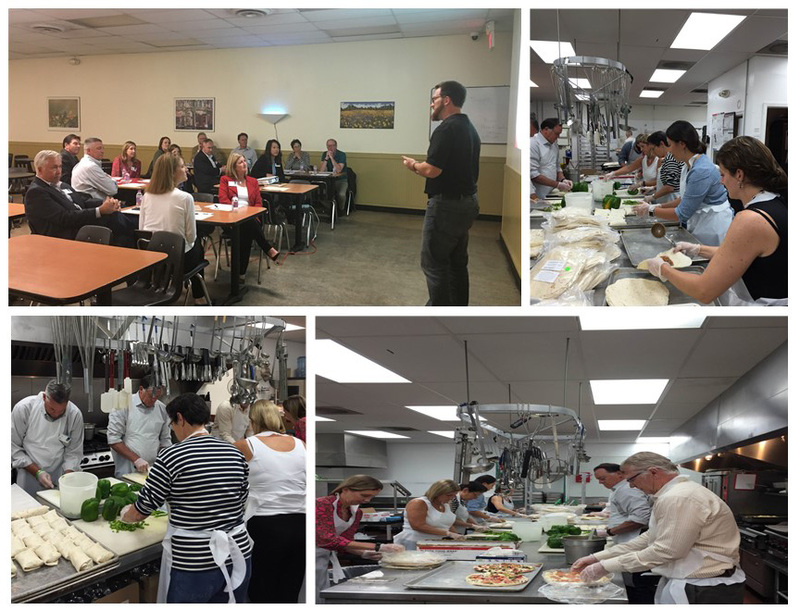 Fifteen Executives from United Health Group came to our Food Centre to assist in a large scale meal prep project. From dicing peppers, to preparing 600+ burritos, to preparing the next two days lunches, our volunteers from United Health tackled their tasks with a smile on their face, and willingness to help in their hearts. Our Food Centre Director, Kevin Walker, estimates that it would have taken his staff 6-8 days to complete the amount of prep that they finished in 3 hours. Thank you so much United Health for rolling up your sleeves, and making it easier for us to Feed Those in Need! https://www.houseofcharity.org/wp-content/uploads/2016/09/uNITED.jpg 659 864 House of Charity https://www.houseofcharity.org/wp-content/uploads/2016/06/houseofcharity-logo.png House of Charity2016-09-22 20:30:212016-09-22 20:30:56Thank You United Health Group for Helping at Our Food Centre! September is #HungerActionMonth. 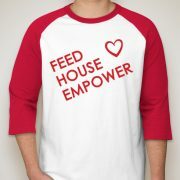 Help us feed those most in need in Minneapolis by purchasing a “Feed. House. 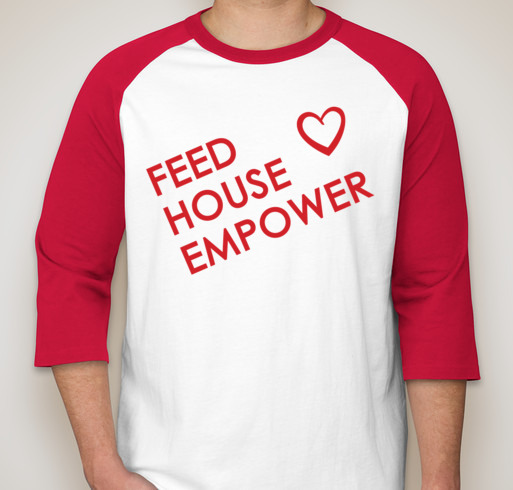 Empower.” t-shirt. All proceeds support our Food Centre which serves free meals to the public 365 days a year and is the only free lunch program in Minneapolis that is open seven days a week. 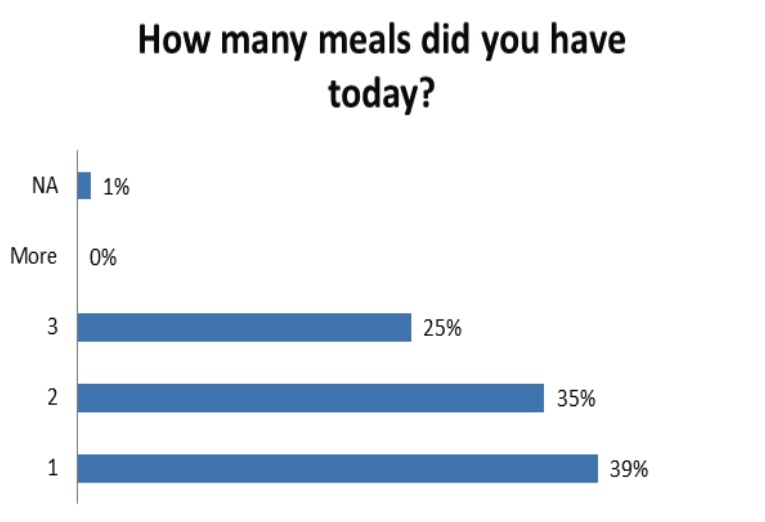 On average, 11,500 meals are served each month, with daily public participation of 350 people (on average). Breakfast is served every weekday to women, children, and men with children. Lunch is served every day to anyone who walks through our doors, no questions asked. Staff have described hearing the stories of people who are barely making it financially, and need the free meals in order to keep their housing. Julia is a single woman. She has her own studio apartment. With two part-time jobs, she works from four to six days each week. After she pays the rent from her earnings, she has $70 left over for the month, the equivalent of $2.33 each day for food, toiletries and other personal items, etc. Julia relies on the Food Centre for her meals, eating with us six to seven times per week. Click Here to Order Your T-Shirt Today! Before her injury, Jennifer never could have imagined herself homeless. “I knew homelessness existed, but I guess I just didn’t give it any thought, and if I did, it was like, ‘Why are they homeless? They can work. They look like they can work.’ But it’s more than what you look like.” Just like in Jennifer’s situation, it could happen to anyone, at any time, and for any reason. Jennifer was working three jobs when a back injury, exacerbated by the physical demands of her job in healthcare, led to a broken back and an inability to work. As her medical bills piled up, she found herself out of a home and living in her car. 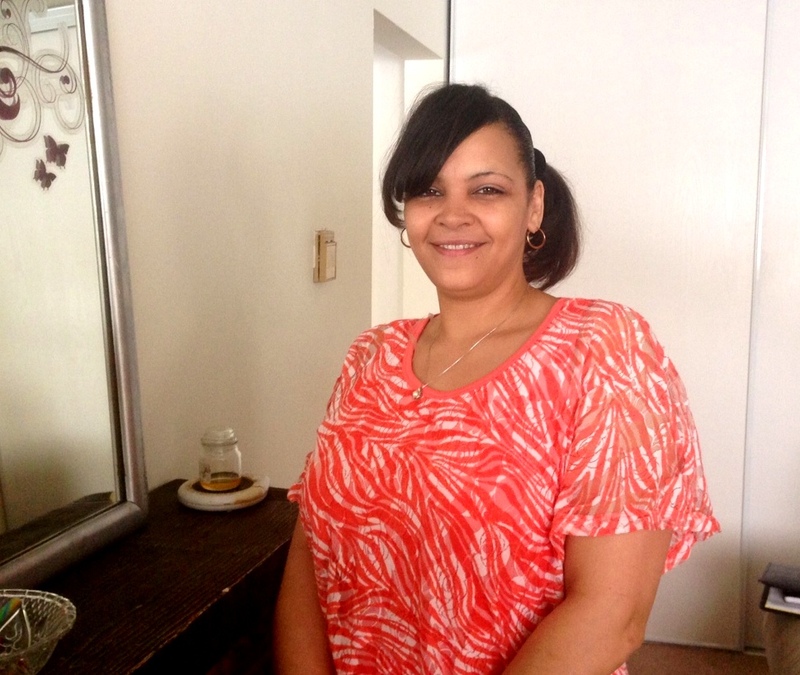 “We’re paychecks away from the same situation,” says Evelyn Combs, Client Advocate Director. It took Jennifer a long time before she could ask for help. After trying several shelters, she was more inclined to sleep on the street than face the conditions within those walls. Then one day, as she drove past House of Charity, something told her she should go inside. She had no idea what it was or what services they provided; she only knew that she needed to get inside before she froze to death. An hour later, she circled back and walked through the door. For many people experiencing homelessness, pride often gets in the way of asking for help. In order to get out of the situation she was in, Jennifer had to ask for help, and for somebody who had been independently supporting herself, that was a difficult task. But House of Charity takes a unique approach with each of its clients who walk through the door. “They made me feel like I was worthy of being here. ‘Yes we know you’re homeless…That doesn’t make you ugly, that doesn’t make you somebody else.’ Once they broke that barrier, that’s when I felt like ‘Ok, they’re really gonna help me.’ The next step was changing my attitude, and the following step was learning what I’m getting ready to do.” By addressing Jennifer’s internal struggles, House of Charity opened her up to not only surviving, but also progressing and thriving. House of Charity is so much more than a charity or a shelter. Under one roof, there are services to address mental, physical, and emotional concerns, plus a highly qualified and invested staff who is willing to reach beyond his or her scope of work to find help and answers. Once Jennifer was ready for the next step, House of Charity had even more resources to help her get there. Jennifer tapped into House of Charity’s other services including their Food Centre, other food shelves, doctors, and disability. 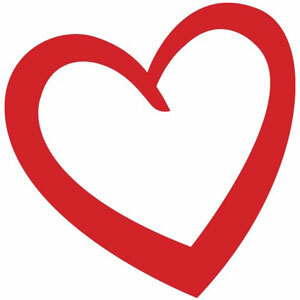 “My case manager was like a mini therapist; I used her ear and her professionalism to get some things off of my chest. I used their classes: financial budgeting, how to be a good neighbor, how to sign a lease, what an addendum to a lease was. I felt pretty damn smart.” The next hurdle for Jennifer, one which she never expected when she walked through the door of House of Charity, was finding an apartment. Jennifer’s case manager was with her every step of the way during her housing search. Having the support of House of Charity was critical; as barriers to obtaining housing came up, House of Charity was there to tell Jennifer why something didn’t work out, and went one step further to help her address that barrier and prepare for the next search. As of today, Jennifer has been in her apartment for three years and continues to use House of Charity’s services to progress and thrive. House of Charity is so proud of Jennifer and what she has accomplished. She is a true testament to the spirit of hope and a better tomorrow. It is with that spirit of hope House of Charity is pleased to announce its Expanding Hope Campaign for a new building and expansion of services. Please visit HouseofCharity.org and consider making a donation to help transform the lives of others like Jennifer. SPECIAL THANKS to Lloyd’s Barbeque and the Hormel Corporation for their generous gift of $5,000 for our Food Centre! 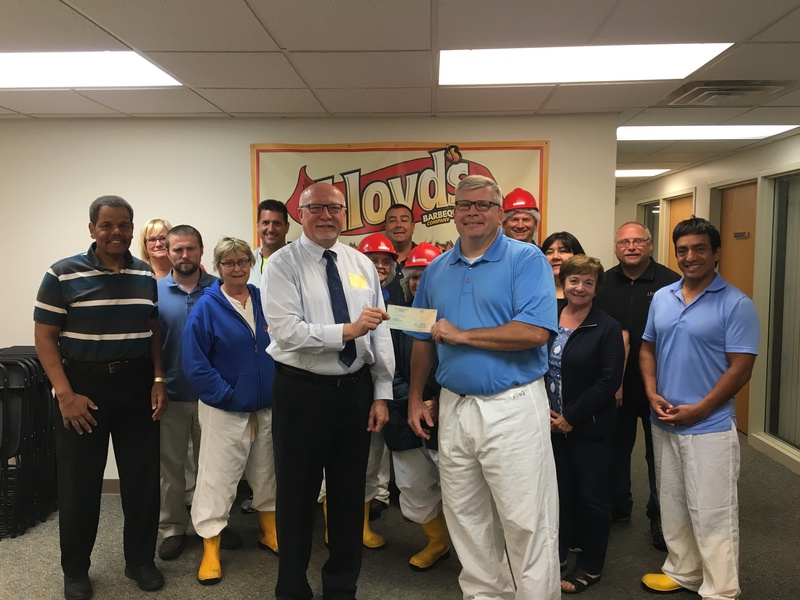 Lloyd’s Barbeque and the Hormel Corporation have been supporting our Food Centre since 2014. Their support will help us feed thousands of people this year. While the economy appears to be improving the need for our Food Centre remains consistent. House of Charity is highlighted in The Journal article. 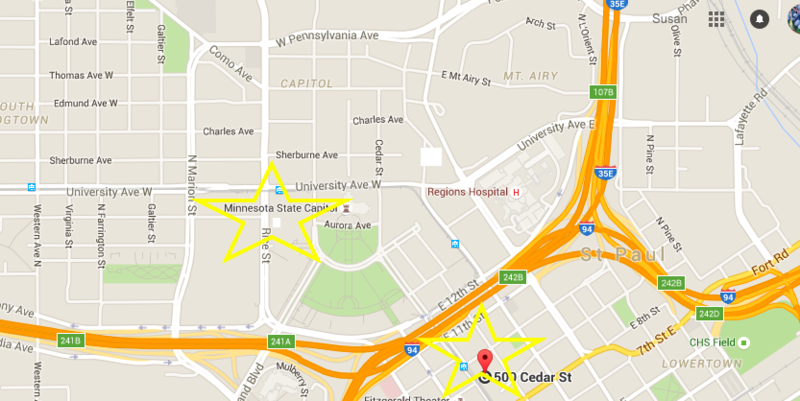 The Journal is “The News Source for Downtown & Northeast Minneapolis Residents”. Melvin Lewis worked for more than 20 years as a professional bill collector, a job that took an emotional toll on him. He started hanging around the wrong people, he said, began using crack cocaine and marijuana and was homeless for five months. “I knew God had something better for me, and I knew it was time to turn around my life,” said Lewis, a Chicago native. A church in Florida paid for Lewis to bus back to Minnesota, where he enrolled in House of Charity’s outpatient chemical dependency program. He completed the program in April 2014, found an apartment through the nonprofit and started school to become certified as a community health worker. House of Charity is thrilled to announce a new position available for Chief Program Director. Please help us share this posting. Thank You! Growing up in the small town of Middleton, in rural Ohio, Rodney struggled with addiction for most of his life. Staying clean was an ongoing challenge. During the week he maintained the appearance of control, but by the weekend he was back to partying and using, finding himself penniless by Monday morning. His denial of his addictions kept him from changing. After repeating this cycle over and over Rodney accepted that he needed to change his life trajectory. With no treatment centers near his hometown in Ohio, Rodney investigated treatment programs in Minnesota. 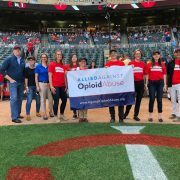 After two years in different treatment programs in Minnesota, he came to the House of Charity’s Day-by-Day Outpatient Treatment Program where he was accepted into treatment and became a resident in our Transitional Housing Program. 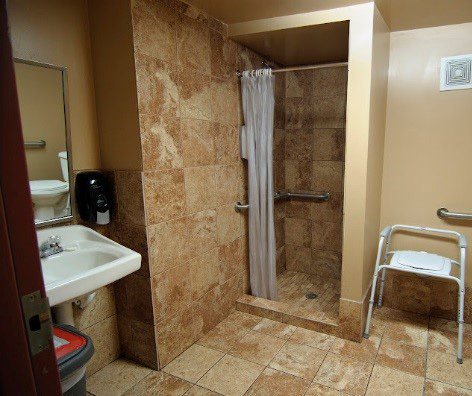 House of Charity not only provides temporary housing and treatment but also the opportunity for recovering individuals to rent an apartment and take the first steps toward real independence. 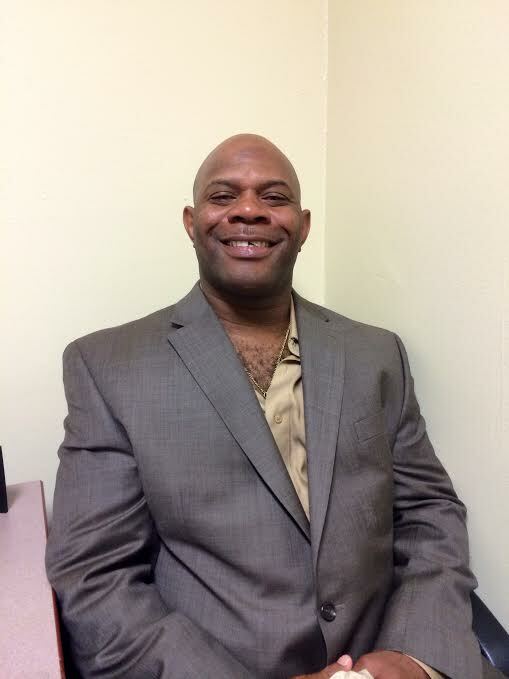 Rodney transitioned into the Housing First Permanent Supportive Housing Program after completion of the three-step program, eventually moving from the treatment and transitional housing program into his own apartment. He said he owes his success to the staff at House of Charity—particularly his case manager who really invested in his recovery. Even at his lowest points of recovery, when he couldn’t even envision his future, he said House of Charity staff helped him to keep his focus clear and his goal of sobriety in sight. “Getting sober isn’t a streamlined thing, you have to have the will and the patience to know that it will come, but you have to want it. And I’m not done. 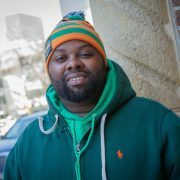 Now living in his own home in a Minneapolis suburb, Rodney is actively pursuing his degree in social work at a local technical college with the long-term hope of being able to help others in Ohio with the same kind of support and help that House of Charity provided to him in his recovery. He is grateful to House of Charity for their help in guiding him to independence and finding a dream and passion to help others. Free admission! Donations to benefit House of Charity! Come and bring a friend for an enjoyable afternoon of music! Click the Map to open a larger version showing Christ the King Lutheran Church on Google Maps. A 1970 graduate of Concordia College, Bruce taught at Luverne, MN for 5 years, Wayzata MN for 1 year and finished his 34 year teaching career at Anoka High School in Anoka, MN. Bruce earned his Masters Degree in 1978 from Bemidji State University. Bruce was named the Outstanding Music Educator of Minnesota by the National Federation of State High School Associations in 1995. 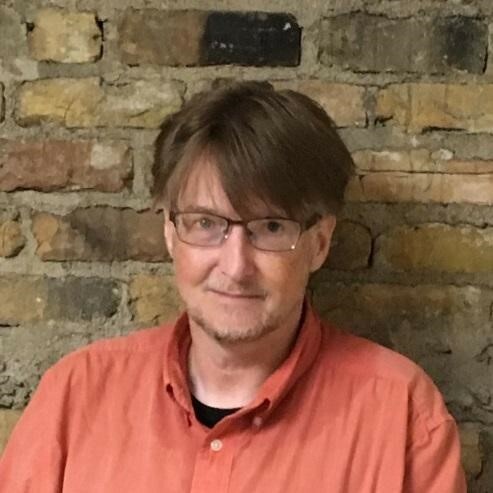 Bruce also received the Outstanding Music Educator Award from the Minnesota Music Education Association for the school year 1999-2000 for his outstanding efforts and leadership in the classroom and beyond. In 2009, Bruce was inducted into the Minnesota Music Educators Hall of Fame. Having a heart for helping the homeless who are recovering from chemical dependency issues, HOC recognizes the need for and value of teaming up our donors’ compassion, with insightful planning, and the will to make a difference through our outpatient day by day program. It is important to know that with the right programs, people can succeed in staying sober after treatment ends. 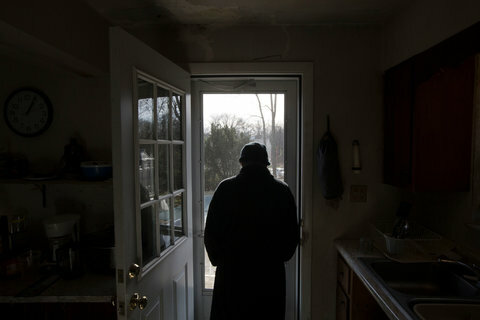 One example of how this works is seen in this article from the New York Times, which points out the need for finding better ways to serve those that are struggling to find transitional housing while in recovery. Understanding that no one expects people with chronic diseases like asthma or diabetes to be cured after 30 days in the hospital, we wonder why we generally expect people who are suffering from an addiction to drugs or alcohol to be able to get better without the time and the tools that match the need. The efforts from our compassionate heart for helping the homeless will be enhanced by adding a strategy that helps people to find a decent place to live during the transitions by using the tools that support sobriety for those in recovery. Read and share this article that elaborates on this issue. HOC’s Day by Day Outpatient program works with individuals with the understanding it is an on-going “day by day” process and focuses on trauma, mental health, and harm reduction. “Getting sober is hard. Making sobriety last is much harder. Most people who go into a residential rehab treatment manage to detox and stay that way during their weeks- or months-long stay. But problems begin when they leave. Many patients walk out the door—and fall off a cliff. “They go back to their old drinking or drug friends and places. The stresses of normal life resume. And exactly at the moment they need it most, they’re essentially on their own. Announcing a Generous Donation to HOC’s expansion! Thank you Federal Home Loan Bank and Bremer Bank for your generous donation to HOC! Thank you Bremer Bank and Federal Home Loan Bank for awarding a $500,000 donation to HOC and the Community Housing Development Corporation that will go towards our new expansion project in Downtown Minneapolis. 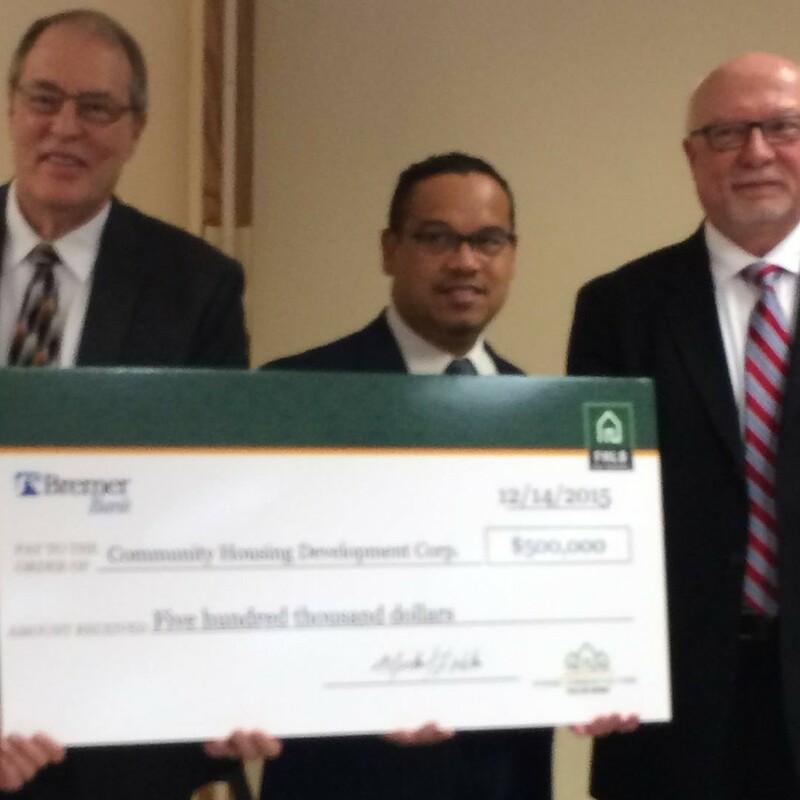 Also, we send our many thanks to Keith Ellison, U.S. Representative for Minnesota’s 5th Congressional District, for your support and advocacy for affordable housing! At House of Charity, we are honored to be a recipient from the Strong Communities Fund. 65 units of smoke-free, sober, and pet-friendly permanent supportive housing for single adults experiencing long-term homelessness. Some apartments will be reserved for homeless youth and veterans. A new Food Centre with a dramatically improved kitchen and a dining room with large windows to allow more natural light. The Food Centre will continue to feed 350 – 500 people per day. An expanded addiction and mental illness treatment facility with space to double the number of people receiving quality, caring outpatient chemical and mental health services. The new facility will enable us to serve up to 100 people. New program space will add private meeting rooms that will increase the quality of our case management services. https://www.houseofcharity.org/wp-content/uploads/2016/01/Bremer-Bank-Check-presentation-e1453445507428.jpg 1085 1085 House of Charity https://www.houseofcharity.org/wp-content/uploads/2016/06/houseofcharity-logo.png House of Charity2016-01-22 06:43:432016-08-30 12:26:59Announcing a Generous Donation to HOC's expansion! 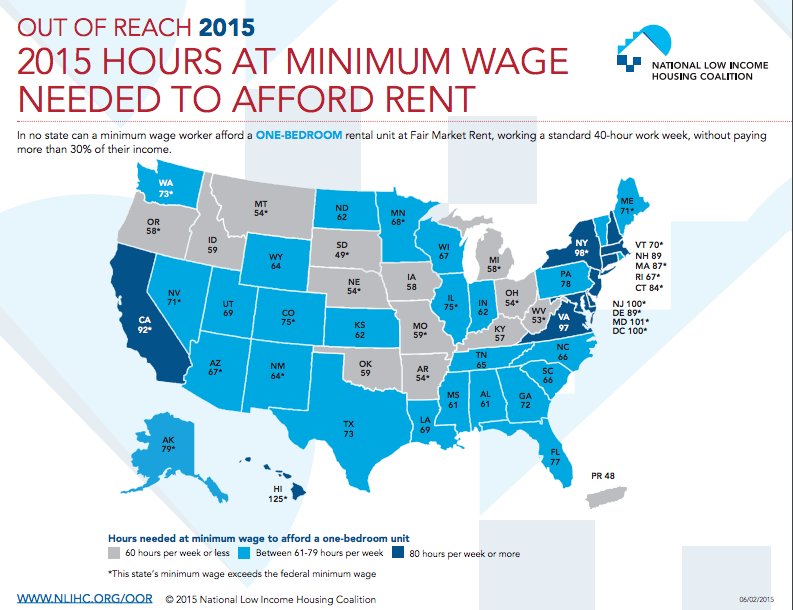 In Minnesota, the minimum wage is higher than the federal requirement, yet people still would need to work 68 hours a week to find an affordable housing, such as a one-bedroom apartment, without paying more than 30% of their income. 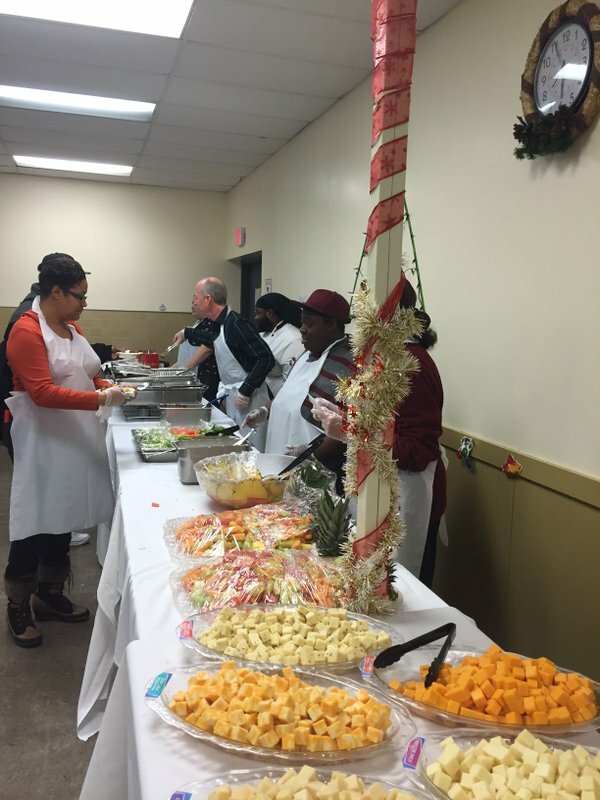 Holiday meals a success! Thanks! and to make our holiday meals possible! Thanks also to Holy Family Maronite Church for giving gifts for kids! At House of Charity, we couldn’t do it without you! Generous sponsors like you allow us to FEED the hungry in Minneapolis, every day of the week, every week of the year, not just on holidays. House of Charity’s Food Centre provides warm nutritious meals to hungry individuals every day. Over 100,000 meals have already been served so far this year. We strive to feed every person who comes through our doors and with your help we can do that! Whether for holiday meals or daily meals, our nutritious and delicious meals are available, without cost or strings attached. 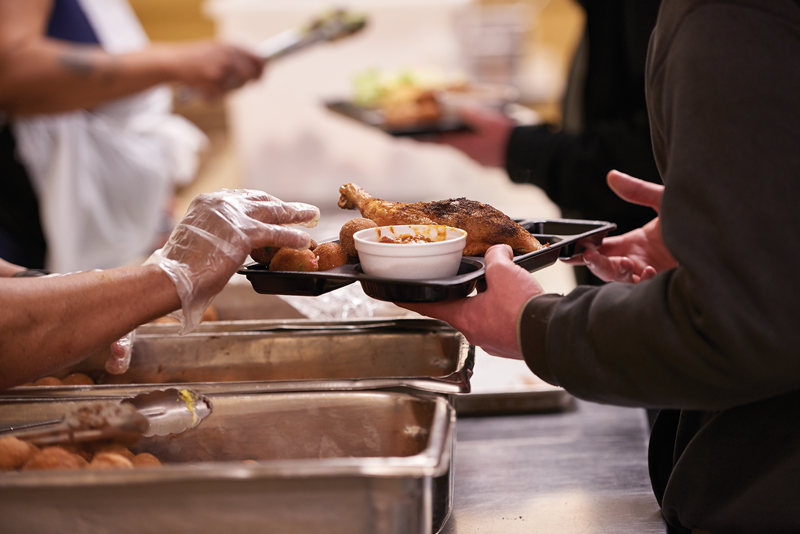 This holiday season, as you celebrate with family and friends, give the gift of a hot meal to people in need. Many people in Minneapolis will spend this holiday season cold and hungry but with your help we can make sure that doesn’t happen. Assist us in feeding every person who comes through our door in the coming weeks and more people in the coming year. To donate to House of Charity, click here. Our work continues all year round and your generosity helps us to continue our mission. See this news article from the Benefits.gov on how to help the homeless this holiday season. 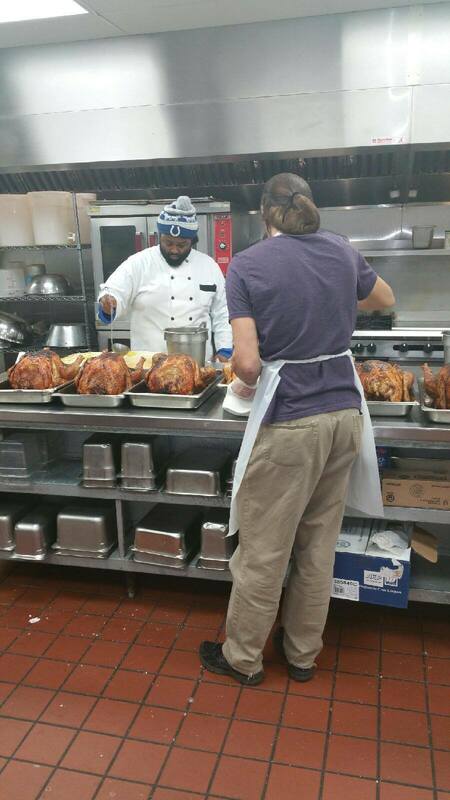 https://www.houseofcharity.org/wp-content/uploads/2015/12/HOC-making-turkeys-2015.jpg 1600 900 House of Charity https://www.houseofcharity.org/wp-content/uploads/2016/06/houseofcharity-logo.png House of Charity2015-12-22 05:07:102016-08-30 12:26:59Holiday meals a success! Thanks! As one of our generous supporters, you affect the lives of the more than 350 people who visit our Food Centre every day. 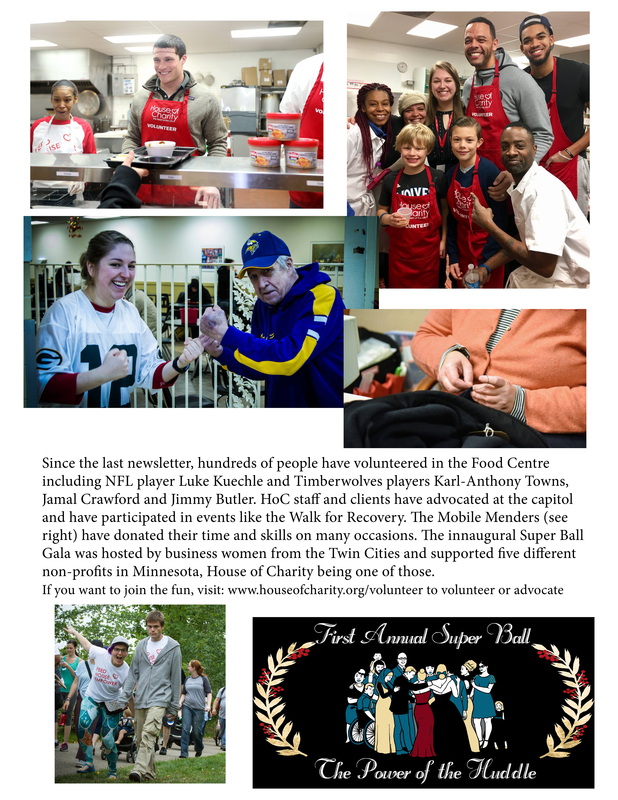 We depend upon you to serve the hungry in the Minneapolis area. Despite the improved economy, hunger and the need for meals every day has increased. We have served almost 2000 more people so far this year than we did in 2014. 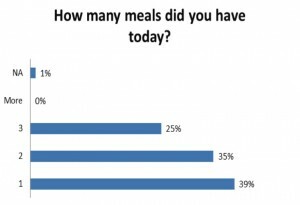 Thirty-nine percent of the 6,769 individuals served so far in 2015 said the lunch provided by House of Charity’s Food Centre was their only meal of the day. Through a continuing partnership with Second Harvest Heartland, a Minneapolis-based food bank, just 50¢ provides a hot nutritious meal for an individual through our Food Centre. Tanks to your support, we make sure everyone who comes to the Food Centre receives the nourishment they need. 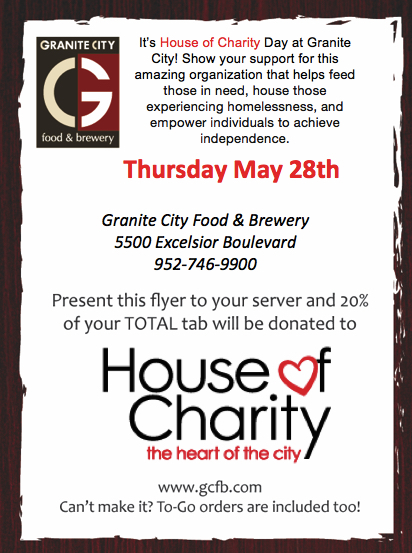 at Granite City in St. Louis Park on May 28.
https://www.houseofcharity.org/wp-content/uploads/2016/06/houseofcharity-logo.png 0 0 House of Charity https://www.houseofcharity.org/wp-content/uploads/2016/06/houseofcharity-logo.png House of Charity2015-05-07 00:48:452015-08-12 15:49:09Dine to Donate! House of Charity is Expanding! With more permanent supportive housing with case management services to address each person’s barriers to maintaining housing, the more people will be independent and no longer homeless,” said Bert Winkel. 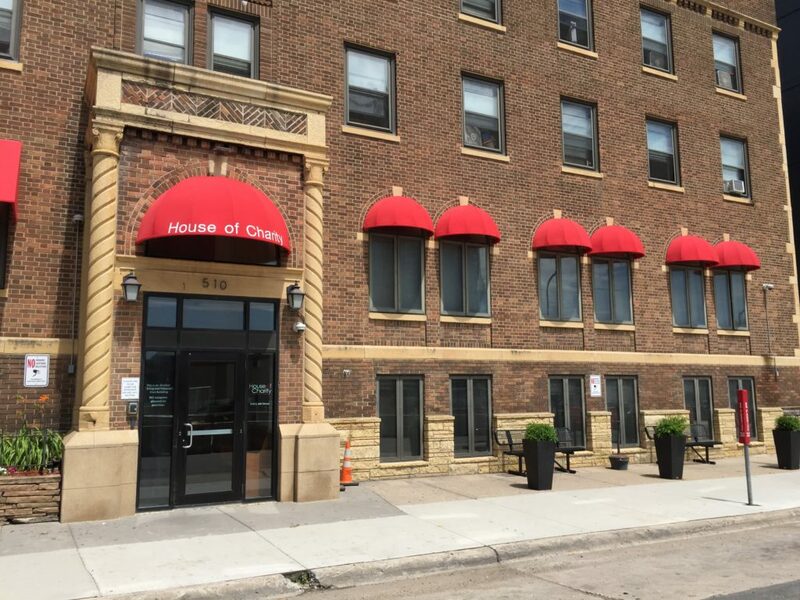 Minneapolis, Minnesota (April 22, 2015) – House of Charity is pleased to announce the purchase of the Finance and Commerce property at 615 South 7th Street, Minneapolis. The property is adjacent to the House of Charity Food Centre located at 714 Park Avenue South. The partners in this purchase include the Twin Cities Community Land Bank and Community Housing Development Corporation. The new development project includes a five story building with a new Food Centre space, expanded Day by Day Outpatient Recovery Program, and administrative offices on the first and second floors. Floors three through five will have 65 new Permanent Supportive Housing studio apartments for long-term homeless single adults. The building will include a large private deck on the 5th floor for the residents and off-sidewalk queueing space for Food Centre guests. 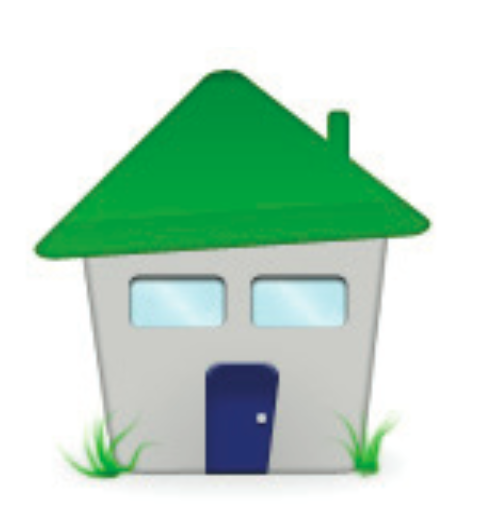 House of Charity will be seeking tax credit funding through Low-Income Housing Tax Credits (LIHTC) with construction optimally set to begin in spring 2016. Affordable housing paired with supportive services is a proven strategy that increases housing stability. In Minneapolis and around the state, there is a shortage of permanent supportive housing options for people ready to make the next step toward self-sufficiency and independence. https://www.houseofcharity.org/wp-content/uploads/2012/10/HOC.jpg 300 300 House of Charity https://www.houseofcharity.org/wp-content/uploads/2016/06/houseofcharity-logo.png House of Charity2015-04-23 03:21:272015-04-23 03:24:38House of Charity is Expanding! In honor of National Volunteer Appreciation Week, House of Charity is grateful to the wonderful service provided by our amazing volunteers. Thanks to our 2,914 volunteers contributing 5,701 hours of service, we provided 135,383 meals at our Food Centre. 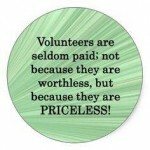 Thank you, to our faithful volunteers!! THANK YOU to our Civic Group Volunteers!! House of Charity appreciates your dedication of building and serving the community. Thank you for your mission of service and volunteerism. See more of this post on Facebook. THANK YOU to our Corporate Volunteer Groups!! THANK YOU to our Faith Community Volunteers!! House of Charity is blessed to have many groups from our faith community giving their time and talents to serving others. See more of this post on Facebook. THANK YOU to our Family Volunteers!! 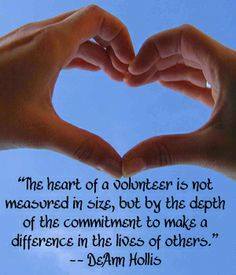 House of Charity appreciates your family’s dedication to strengthening your family by serving the community together. Thank you for choosing House of Charity for your family time! See more of this post on Facebook. THANK YOU to our School and Youth Group Volunteers!! House of Charity appreciates your dedication to learning through service to others. Thank you for choosing House of Charity as your service classroom. See more of this post on Facebook. THANK YOU to our Volunteer Board Members and Interns!! House of Charity appreciates your leadership, dedication, and support of our mission to feed, house and empower through your gifts of your time, talents, and treasure! See more of this post on Facebook. https://www.houseofcharity.org/wp-content/uploads/2015/04/Volunteering_motto2.jpg 275 236 House of Charity https://www.houseofcharity.org/wp-content/uploads/2016/06/houseofcharity-logo.png House of Charity2015-04-23 02:33:102015-04-23 02:50:21THANK YOU Volunteers!! • Reduce chronic homelessness, hence reducing the cost of jails, emergency rooms, shelter, and detox facilities. • Every public dollar invested in supportive housing returns $1.44. • Prevent and end homelessness for an additional 4,836 households and develop or rehabilitate over 280 apartments and single family homes. • Improve educational outcomes for students without stable housing. Increase MFIP cash assistance by $100 per month using TANF funds. This would be the first increase since 1986. House of Charity’s Housing First program is a permanent supportive housing program where our clients move into their own permanent apartments. 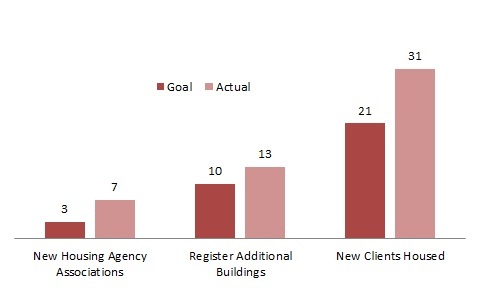 In 2014 Housing First housed 117 people, and the program has met and surpassed our goals. Moving even further forward, this past year we had 20 clients completely exit the Housing First program, 14 of which were fully independent. 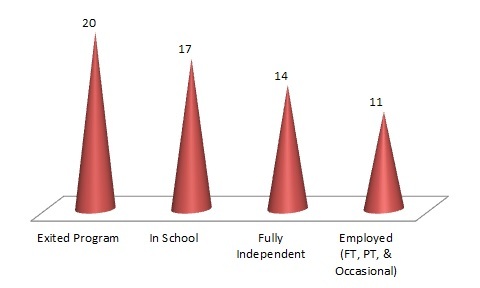 11 clients are employed and 17 clients are in school pursuing an Associates or Bachelors education. “I got to see and learn a lot during my travels.” From Missouri, Illinois, Wisconsin, and finally to Minnesota; Edmund has been many places and seen many things. Still his vivaciousness for life is infectious. Edmund’s story starts in 1988. Bills started to pile up and finally his sister took over the house. The next ten years Edmund describes as “wild”. Even during this time Edmund knew this was not the life he wanted to lead and that addiction did not define him. Edmund decided to go home and two years later took a job with the lumber yard that brought him to Minnesota. Unfortunately the lumber yard closed its doors and Edmund found himself back on the streets. This time was different for Edmund. His first winter here he noticed how clean Minneapolis was and appreciated the helping hand Minnesota offered. A change of heart and willingness to better his life unfortunately was not enough. 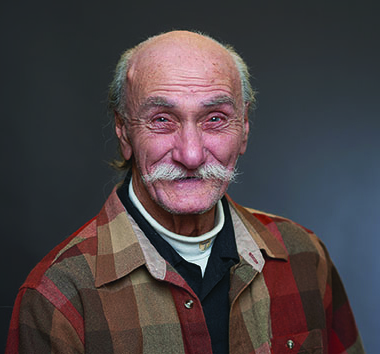 For a few more years Edmund struggled in and out of overnight shelters and treatment centers. From 2008 to 2012 Edmund tried four to five different treatment centers. Edmund is working toward an Associate Degree in Liberal Arts and plans to transfer to a state university to pursue a Bachelor Degree in Social Work. Edmund’s experience at House of Charity has given him the tools to think about the decisions he makes and navigate hardships when they occur. 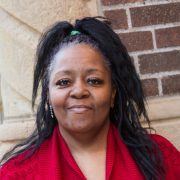 Edmund’s Housing First Advocate is a believer in taking stock of small accomplishments to realize your full potential. Edmund exemplifies this motto. Since Edmund’s time with House of Charity he takes on life one step at a time. Edmund wants to encourage House of Charity to stand by their mission statement. He believes in what House of Charity does. He believes House of Charity is here to encourage people and wants to let House of Charity know how much that means to him and to other people he knows. Hundreds of lovingly hand-tied blankets were made on Saturday, February 7, 2015, during the 10th Annual “For the Love of Peyton” Blanket Party. 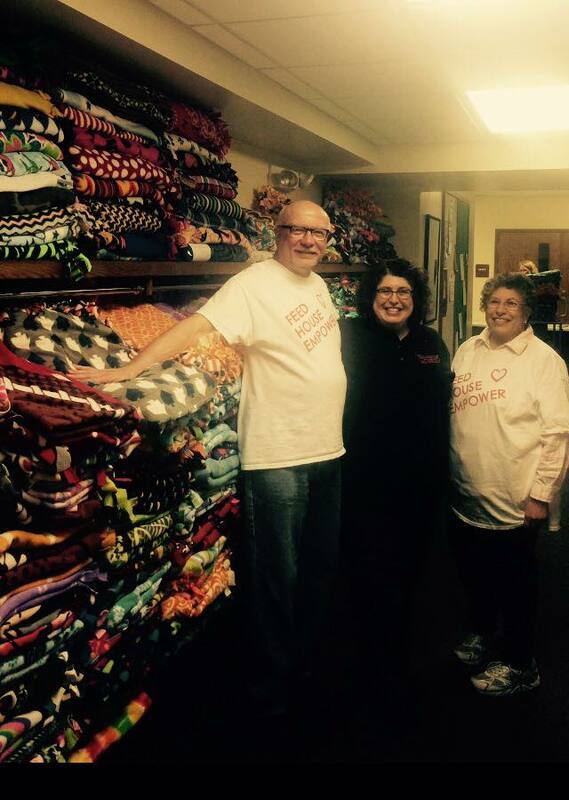 House of Charity board members and staff participated in the blanket making event (pictured are Bert Winkel, Executive Director, Lesley Chester, Fund Development and Communications Director, and Linda Brooks (Lesley’s mom). One of our major supporters and her family created this marvelous event of making blankets and donating them to organizations working with sick children and the homeless. For the past few years, House of Charity has received numerous blankets from the event to give to our clients. This week, House of Charity received nearly 100 blankets to dispense to clients! We are truly grateful for the support of the “For the Love of Peyton” Blanket Party and their dedication to helping provide comfort to those in need. What is the MLK Day of Service? The MLK Day of Service is a part of United We Serve, the President’s national call to service initiative. It calls for Americans from all walks of life to work together to provide solutions to our most pressing national problems. 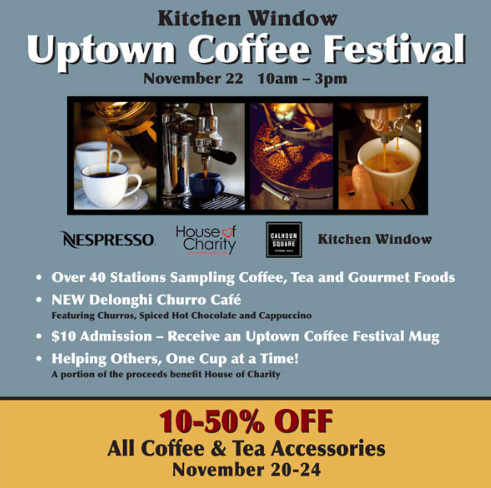 Join us for the Uptown Coffee Festival Saturday November 22nd 10:00 AM! Kitchen Window, Nespresso, and Calhoun Square join forces with us, at House of Charity, to help raise enough money to feed over 10,000 people. This popular event, the 25th Annual Uptown Coffee Festival, will take place on November 22, from 10 am to 3 pm, at Calhoun Square. For only $10, coffee aficionados receive a limited edition 25th Annual Uptown Coffee Festival mug and access to vendors—samples include a large variety of coffee and teas, breads and desserts, plus a number of other tasty surprises! Admission also gives attendees access to the day’s educational seminars as well as some fun entertainment. A great event for gathering with family and friends, the Uptown Coffee Festival is an annual tradition with something for everyone. https://www.houseofcharity.org/wp-content/uploads/2014/11/Coffee-fest-Screen-Shot-2014-11-19.png 488 491 House of Charity https://www.houseofcharity.org/wp-content/uploads/2016/06/houseofcharity-logo.png House of Charity2014-11-19 19:22:382015-02-20 17:57:58Uptown Coffee Festival is Supporting House of Charity! Several years ago, Kip was introduced to the House of Charity Food Centre through a volunteer opportunity with his employer, Wells Fargo. 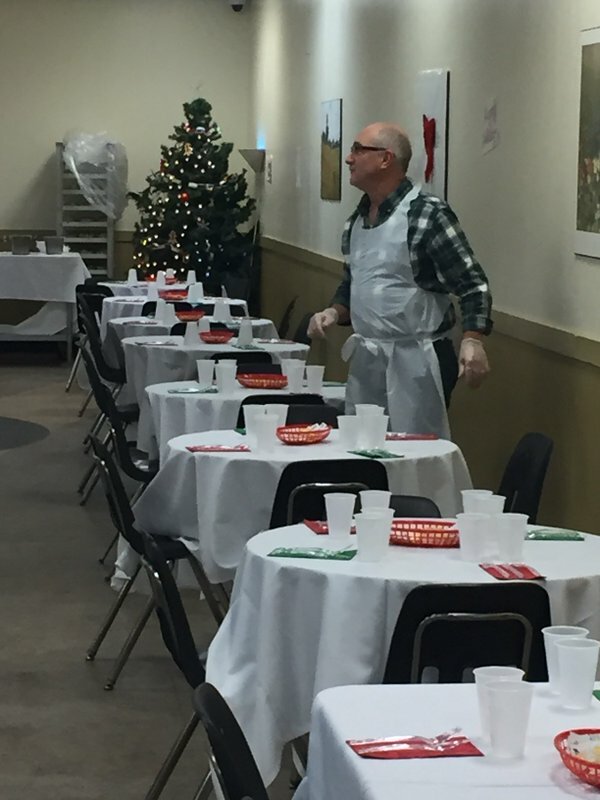 The experience volunteering at House of Charity, combined with Kip’s long-time passion for giving back to the community, led him to build a team of his colleagues to begin serving on a monthly basis. Kip was drawn to the organization because, in his words, “They have their doors wide open” to the public. Additionally, one reason Kip has continued volunteering at the Food Centre is the structure. 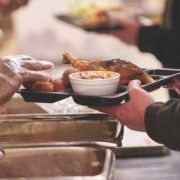 He states, “It gives people a good meal and a safe place to eat it.” In his interactions with the people at the Food Centre, Kip explains that recipients of meals are always very polite and appreciative. Phillip, a devoted father and husband, moved with his wife and children from Chicago to Minneapolis on November 12, 2013, to try and provide a better life for all of them. Unfortunately, the move did not provide the opportunity, on its own, to change the family’s circumstances. While initially Phillip and his wife had a goal of moving to Duluth, financial circumstances forced them to stay in Minneapolis. Though he was committed to seeking out a better life for his family, alcohol and drug use interfered with Phillip’s efforts and eventually led to a domestic assault charge. Following that charge, Phillip was required to attend treatment beginning in January of 2014. He was initially skeptical about the Day by Day program, but eventually became committed to the program. When asked about the change, he explained, “Counselors and case workers will help you the first few times, after that, you have to help yourself.” He realized the importance of changing his habits in order to better himself and his family. While he was attending the program, he also lived in House of Charity’s transitional housing facility. By mid-2014, Phillip had completed the court ordered treatment through the Day by Day program. 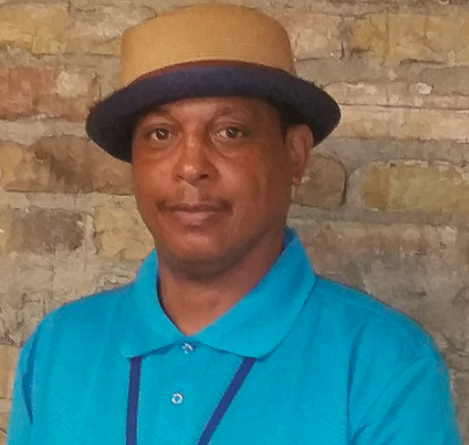 When reflecting on his treatment, Phillip gives credit to his case worker and counselor for their genuine care and support, commenting that the staff at House of Charity, “really put things together to help support you,” and that support had previously been absent from his life since his parents had passed away. Following his completion of the Day by Day program, Phillip and his family were able to move back together into a permanent housing solution. Since completing the program, Phillip has completed two programs through Urban Ventures. The eight-week programs focused on areas of Responsible Parenting and Healthy Relationships and Marriage. Phillip received certification for these programs on June 18th and July 3rd, respectively. Additionally, he has voluntarily continued ongoing support through the Continuing Care program at House of Charity, which he completed on August 6th. Since moving to Minneapolis, he has also become very actively involved in the Inner City Church of Minneapolis. Phillip was recently baptized and in addition to attending service with his family every Sunday, he also has begun volunteering with the church. In such a short time, Phillip has accomplished many things which show his determination; not only that, but he has also shown a greater commitment to raising his growing family. When asked about how this journey affected his family, Phillip said “I had to get better for myself, and my kids can look up to me now.” Phillip’s counselor shared that during the time he was attending his continuing care program at House of Charity, he would sit at his kitchen table, and while his children completed their homework, he would complete his assignments, as well. He is grateful for the ability to spend more time with his family; prior to his treatment, he was often absent from the home. Phillip is seeking the opportunity to work towards completing his GED and eventually a Culinary Arts degree. The family is also a current candidate for a new home with Habitat for Humanity. Phillip remains grateful for the support of House of Charity and its staff. He is an advocate of programs at House of Charity because, in his words, “It works!” He gives recognition to his case manager and counselor for their commitment to him and the other clients. He explains: “They didn’t need me, I needed them” in order to succeed in positive life change. The House of Charity has received a generous challenge match! Special thanks to The Mosaic Company for offering a 1:1 challenge match on all new and increased donations up to $20,000. https://www.houseofcharity.org/wp-content/uploads/2014/09/Mosaic-Logo-e1414002768758.jpg 130 250 House of Charity https://www.houseofcharity.org/wp-content/uploads/2016/06/houseofcharity-logo.png House of Charity2014-09-10 18:51:192015-08-07 15:19:48Double Your Gift! In addition to our internal efforts to provide more permanent supportive housing, House of Charity is actively involved in legislative advocacy to address solutions for homelessness. 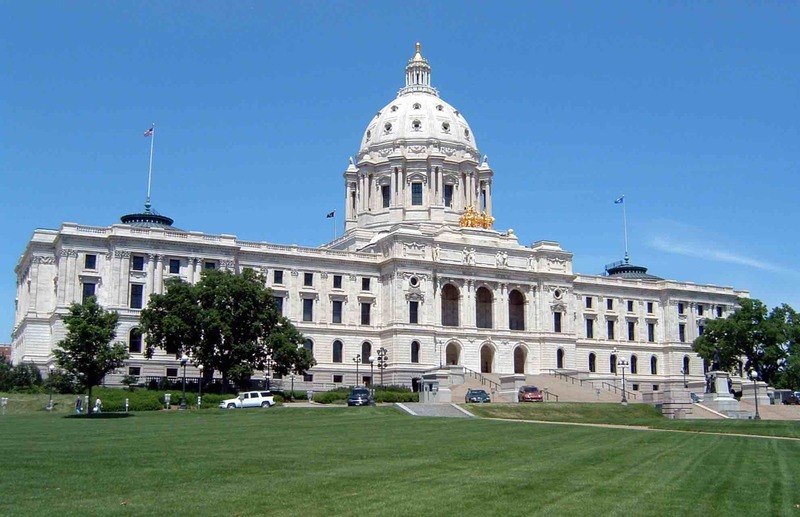 The year 2014 marks the second session of Homes for All, an alliance that works to advance policy initiatives that lead to housing stability in Minnesota. 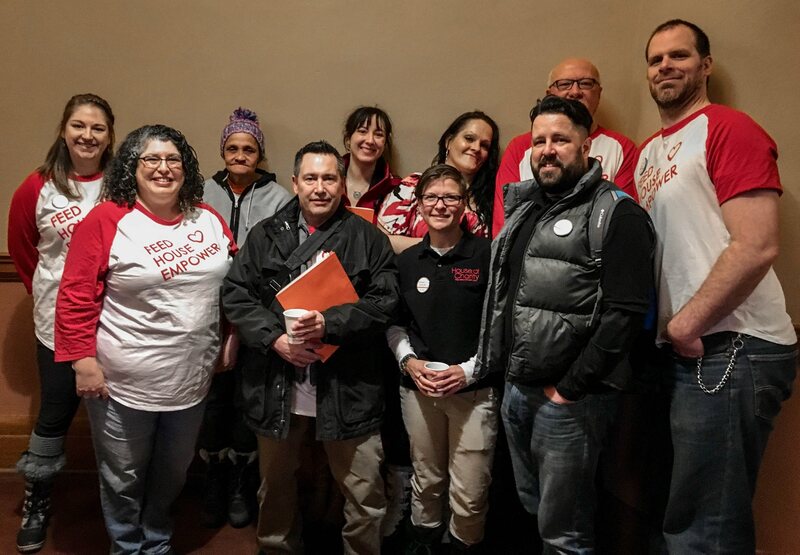 This year, the Prosperity for All alliance was created out of the state’s dire need for policy reform of the Minnesota Family Investment Program’s (MFIP) participation restrictions. Each alliance has its own legislative agenda and accompanying bill proposal. Home is the foundation for stable families, strong communities, and a competitive state. 1. Building and rehabilitating supportive housing. 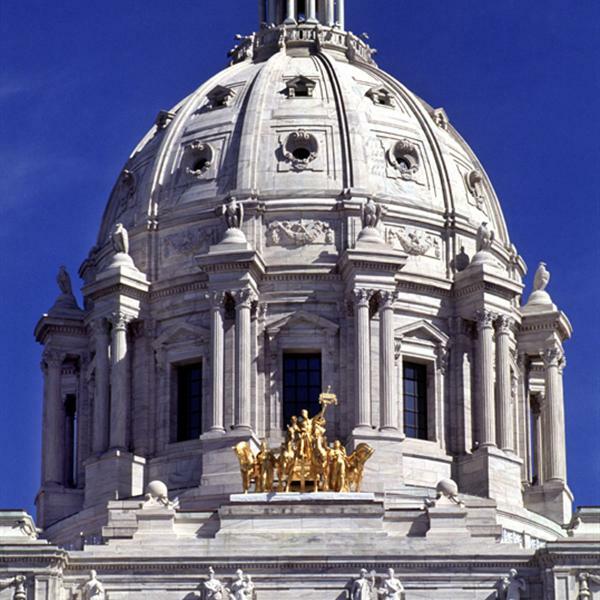 * Creating affordable housing options for extremely low-income Minnesotans including families with children, homeless youth, veterans, seniors, and people with disabilities. 2. Preserving and rehabilitating federally assisted affordable housing. * Preserving rural units at risk of losing federal subsidy due to disrepair. * Rehabilitating aging public housing, operated in over 200 communities across the state. 3. Stabilizing communities impacted by the foreclosure crisis. * Rehabilitating deteriorating buildings and foreclosed homes. * Increasing rental and home-ownership opportunities for low and middle-income Minnesotans. The return on investment is impressive. Every public dollar invested in supportive housing returns $1.44 to taxpayers. 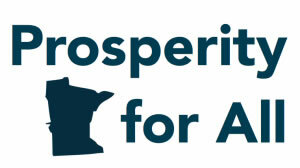 The “Prosperity for All” MFIP Workforce Education Bill works for the advancement of public policies that better serve striving families while helping Minnesota’s economy and requests the reduction of barriers to Adult Basic Education, higher education, and English Language Learning (ELL). • Removing barriers to enrolling in ELL classes for those who are learning English as a second language. Jennifer had been living in her car for two years before finally asking for help from her primary care physician who referred her to House of Charity. About eight years ago, Jennifer suffered a horrible accident. She was out shopping for last-minute stocking stuffers for Christmas when a drunk driver sped through the Walgreens’ parking lot, striking her as she was walking to her car. She was crushed up against another car. After suffering severe trauma to her body, especially her back, Jennifer was released from the hospital after a few days and returned to work. Jennifer worked as a Certified Nursing Assistant (CNA) at two assisted-living facilities for the elderly, a field she loved and had been working in for 18 years. She continued to work her regular schedules at both jobs and ignored the constant pain she continued to experience since the accident. A few years later, Jennifer slipped and fell on concrete, landing on her back. This new injury compounded with her previous injury that never healed forced Jennifer to have necessary back surgery. Jennifer was now disabled and could not work. With her limited disability income, she lost her home. She moved what furniture she could in to storage and began living in her car. In the winter of 2012, Jennifer knew she needed help. Jennifer admits to being hesitant at first to ask for help and then even more so when it came time to actually set foot in House of Charity. She drove by and suddenly felt compelled to come in. She said that right off the bat, she was welcomed and treated with compassion and respect from House of Charity staff . There were not any openings for Jennifer right away, but a month later, the Intake Coordinator called her and notified her that there was a place for her if she still needed a place to stay. The next day, Jennifer moved in to House of Charity. She quickly moved from our transitional housing residence to her own apartment in our Housing First program. Jennifer began working with her Case Manager in our Transitional Housing Program and began taking Housing First classes right away. In the five-course series, she learned about rental leases and landlord/renter relations, budgeting, how to be a good neighbor, and the challenges of living alone. She was determined to get on her feet, get her own place, and start living life again. She appreciated her Case Manager’s open door policy and how she went to bat for her when it came time to find Jennifer an apartment. Jennifer was in our Transitional Housing Program for five months before moving on to our Housing First Program. Jennifer has a great relationship with her Housing First Advocate. They meet weekly and since Jennifer can no longer drive, her Advocate also goes above and beyond by taking her to regular doctor’s appointments. Jennifer said that if she didn’t have the support of her Advocate along with her housing, she would not have been able to make it. Her Advocate also helps Jennifer deal with her mental health and self-esteem issues; she helps her find resources, with activities of daily living, and with goal-setting. Currently, Jennifer, with the support of her Housing First Advocate, is exploring where to go from here and how to change professions. Jennifer is devastated by the fact that she cannot physically perform the work that she enjoyed doing for so many years as a Certified Nursing Assistant. It has been difficult to figure out employment as Jennifer can neither sit nor stand for long periods of time and has to walk with a cane. Jennifer would like to continue to work in healthcare and is looking in to relative education and training options. She is currently coming up on her one year anniversary of being in her own apartment. Jennifer remains grateful to House of Charity and optimistic for the future. The advice she gives to those in similar situations that she was in is to ask for help and remember that House of Charity doesn’t want you to fail.